Burlington, Vermont is a beautiful place. It has been my primary residence for quite some time, but I haven't really appreciated all the area has to offer until this summer. Moving our offices to a refurbished building on the lakefront perched us up overlooking Lake Champlain. The views are magnificent. When we remember to take breaks for lunch there are numerous picturesque cafes and restaurants to choose from. I have watched the sunset while enjoying dinner lakeside with many friends and family members. It's been a summer romance, and I am finding myself in love with the place. This summer marks the 400th anniversary of the discovery of the lake by explorer Samuel de Champlain who managed to get this lovely place named after himself. There have been all kinds of celebrations throughout summer. This weekend is a the Lake Champlain Maritime Festival along the lakefront beneath our offices. We are joining in the fun by having a Tent Sale with many of our design samples and one-of-a-kind pieces. 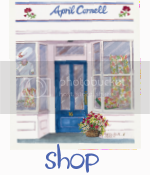 If you are out of the area, you can shop our attic online. I am enjoying my hometown. I hope you take the time to feel the same way about yours!